Olympia Steel Buildings offers a complete range of cost-effective prefabricated building for whatever purposes. It takes pride of its 25 years of experience in manufacturing high quality steel buildings and 40 years in metal building design. It’s a popular choice for the federal and state governments, and the military customers. Why Choose Olympia Steel Buildings? Olympia Buildings provides Single Source Accountability on all of its project. It’s the sole entity responsible for all the intricate details, from planning to enlisting contractors. This is perfect for those who avoid dealing with a number of contractors to complete the project and with all the risks that go with it. It partners with Rutherford Construction Corp., as its official contractors. While Olympia Steel Buildings provide a single source accountability, it welcomes ideas and inputs from its clients. It strives to work in partnership with clients in creating steel buildings, from start to finish. Olympia Steel Buildings also makes it sure that all their clients get the quality service they deserve. Clients receive personalized service from its trained technicians, from responding to inquiries to discussing their needs, and to pricing the building according to specifications. Olympia Steel Buildings are cost-effective and are flexible in designs. They are designed to suit your budget requirement. 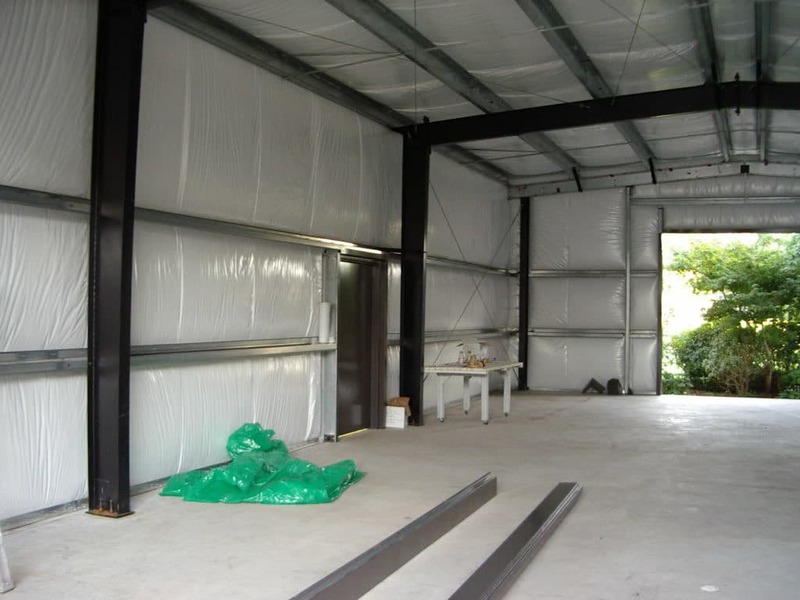 Unlike most other companies, Olympia Steel Buildings provides you the best price up front. The quality products that Olympia Steel Buildings offer can save you up to 50% of money spent in conventional construction method. The metal buildings it sells are designed and manufactured in its state-of-the-art facility with experienced and professional engineers. The buildings are 100% American-made. Olympia Buildings only uses top commercial grade U.S. steel. Roof panels coated with 26-gauge AZ55 Galvalume have 40-year limited rust-through perforation warranty. Siliconized polyester colored coating for walls and trim also has limited 40-year warranty on paint while a limited lifetime warranty is being offered on the stainless steel screws for the roof. To help customers save on delivery costs, Olympia Steel enlist a community freight. What are the Advantages of Single Source Accountability? Metal building suppliers usually have three different accountability options being offered to their clients, depending on their preference and budget. They are the Single Source, the Split Source, and the Customer Source. Olympia Buildings only offer a single source accountability. As explained earlier, it wants to be responsible for all the intricate details, from planning to getting the building erected. Before we get into the discussion of the advantages of single source accountability, it is important first to understand how it is different to other accountability options. The split source option allows the customer to enlist other construction companies to get the job done. Normally, metal builders provides the customer with the insulated building shell. But a general contractor will have to complete the finishing. The customer source also called multiple branching pathways. Meanwhile, involves dozens of contractors to do specific portion in the building process. This is the riskiest of the three options as you are dealing with a lot of people to complete the project. Based on the description above, a single source accountability will give you the smoothest path toward getting your project done. It’s certainly the most direct and easy to follow. But it’s not the only reason why many clients go for this option. Another reason would be an increased efficiency. Dealing with multiple companies entails various back-and-forth. Unless you have your own general manager, all those back-and-forth has to go through you. To ensure that each of the companies you are dealing with understand the requirements of your project, you will need to explain them in multiple times. This is definitely time-consuming and exhausting. On the contrary, with a single source accountability, only one person will serve as your point contact, from start to finish. Moreover, a single source company with established partners and contacts will be ready to work on your project as soon as possible. Using a single source firm also generally results into reduced costs as you’ve got to pay the project’s initial and administrative costs only once. Some of the things that include in what you pay for outside firms are your projects profiling into their systems and enlisting staff to work on the project. With a single source firm, most of your money go into the actual project development. Lastly, there is an increased accountability when using a single source firm. If something goes off-schedule, there are only two players to blame: the client or the single source firm. Unless the client made major changes or failed to provide details, there is no one else who will hold accountability but the single source firm for any mistake, mishap, and missed deadlines. 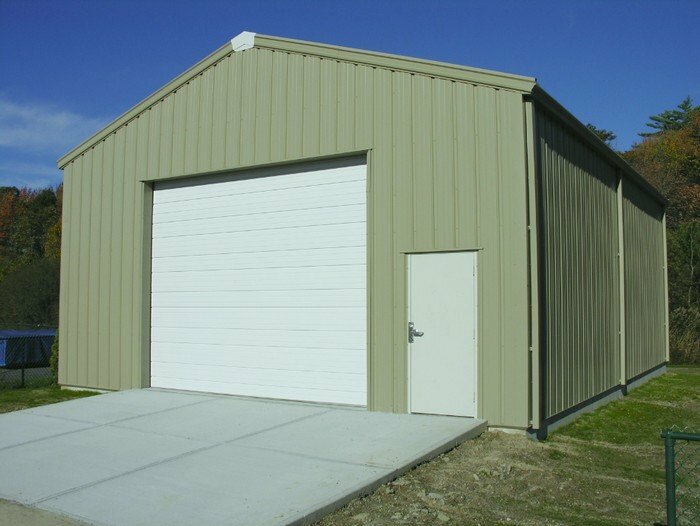 What are the features of metal buildings being offered by Olympia Steel Buildings? As mentioned above, Olympia Steel Buildings only uses top commercial grade U.S. steel to ensure the following features are consistent with all its metal buildings. Olympia Steel Buildings’ 26-gauge Purlin Bearing Rib (PBR) roof panels are a lot stronger than the commonly used R Roof panels. Olympia Steel Buildings uses AkzoNobel paints for its exterior coatings. The AkzoNobel paints contain silicone polyester which exhibits good resistance from extreme temperatures and scratching, and durability. Olympia Steel Buildings’ girts, purlins and C-sections are all galvanized to give the structure protection from rust. Olympia’s Steel Buildings are engineered for faster drilling. Its self-drilling fasteners minimizes surface damage through its ability withstand slipping of the drill point. Olympia’s Steel Buildings’ main frames are protected from corrosion through application of gray primer oxide. How to place an order from Olympia Steel Buildings? To place an order, you may contact Olympia Steel Buildings directly and speak with a consultant. Alternatively, you may request an online quote here. With over 40 years of experience in the industry, Olympia steel continues to be the fastest growing steel manufacturer and supplier in the country to date. The company’s edge lies on its use of the best technology in the production of its steel products, ensuring that it follows standards set by industry regulations. The result is a slew of products that all pass rigorous quality control and capable of providing the best solution under all manner of conditions. With Olympia Steel Buildings, home and business owners need not worry about the security of their properties. Olympia Steel Buildings has been catering residential and commercial building needs starting from its inception. Through the years, they have also garnered expertise to provide solutions for agricultural, industrial, military and government construction projects. With over 15 areas of specialization, Olympia will surely satisfy any client’s need. In addition, clients of the company can also enjoy the most competitive product warranties in the industry. With the backing of professionals from Olympia, home and business owners can ensure that their steel buildings can withstand the harshest conditions for years to come. Olympia Steel Buildings boasts of using the best tools, methods and knowledge in the manufacture and installation of its products. To produce only industry-approved steel buildings, the company uses the most advanced drafting and detailing software available today. The company’s steel building factories are also fully-automated, resulting in products that fit precise measurements to ensure only the most weather tight buildings upon installation. Every frame, girt and purloin has been coated and molded in specific measurements to ensure long life and the perfect seal. All metal accessories and parts are also welded and bent using the best automated equipment in the industry, ensuring that they all pass the strictest quality control measures. With this type of quality assurance, Olympia can definitely provide full satisfaction to customers.